Buried treasure in Florida is not just along the famed treasure coast where hundreds of Spanish Galleons wrecked, and now are coughing up loads of gold and silver during and after violent storms. Florida is one of those States that has hundreds of other treasures hidden throughout the State. I have listed a few areas on this page. If you ever dreamed of locating a hidden cache but did not know where to start, this page will hopefully get you going on the right path. Additionally, throughout my website you will discover articles loaded with ideas about how to metal detect and how to become better at the hobby. And, if you don't have a metal detector, I recommend purchasing a model that is not to expensive. You only need to spend between $250 and $350 for a quality detector. Here are a few area to search for buried treasure in Florida. Bocilla the pirate - supposedly buried a treasure on Bokeelia Key, north of Pine Island in Charlotte Harbor. The Ashley Gang - was an outlaw group that existed during the early 1900’s. Their headquarters was near Canal Point on the southern tip of Lake Okeechobee. Story’s say that the gang buried my treasures in this area. One of the treasures may consist of $110,000 in gold coins taken from a bank. Big Island - located on the western end of Tampa Bay, may hold buried treasures consisting of several wooden barrels of gold and silver coins. They were buried by the Seminole Islands. This money was apparently paid to them as treaty indemnity money. Treasure Island - named as such because many pirates supposedly visited this island and buried treasures here. 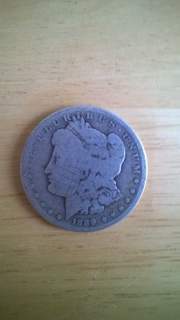 Pinellas Point - in St. Petersburg held several chests of Spanish silver and gold coins that were dug up in the 1930’s. It has been rumored that more treasure may be buried there. The Pirate Gasparilla - apparently buried $30 million on Gasparilla Island. This Island is located near Charlotte Harbor, north of Fort Myers. Be sure you understand the laws. And if you are going to search on private property, be sure to get permission. The above Antiquities Act of 1906 is the grand-daddy of all land laws. It was written to protect Native Indian lands from being looted and destroyed by treasure hunters. But since that law was written, states have enacted their own laws by using the Antiquities Act as a guide. When on State or Federal land, do not dig any item that is more than 100 years old. Here are the Florida laws. Buried treasure in Florida may be located in Florida ghost towns.